Voss Law thoroughly understands the finer points of the Maryland alimony process and has the experience to help you realize the best financial arrangement for your new independent life. We are dedicated to the practice of family law, actively protecting the rights and interests of families and individuals, and helping clients work through the often difficult circumstances of divorce and custody. Whether by means of mediation, negotiated settlements or contested litigation, we use our extensive personal experience to find the best solutions to the financial and custodial challenges our clients face. 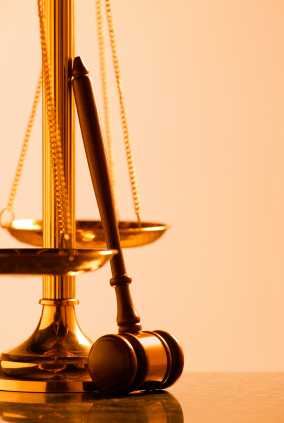 At Voss Law, LLC, we pride ourselves on providing our clients with the highest standards in legal representation. We understand that your case is your life, and we appreciate that this requires our help well beyond the typical workday. This means remaining available and attentive throughout the entire process, keeping you informed and involved in all aspects of your case, and helping you to make the most effective decisions. Our approach is compassionate and supportive yet custom-tailored and results-driven to meet your individual legal objectives. We are ready to use the entirety of our knowledge and experience to help you protect yourself and your family as we advocate for your rights and goals. Voss Law, LLC serves clients in Anne Arundel County, Baltimore City, Baltimore County, Calvert County, Carroll County, Charles County, Cecil County, Harford County, Howard County, Montgomery County and Prince George's County. To learn more about Voss Law, LLC and the services our firm provides, feel free to browse our site or contact us directly. We promise to handle your inquiries in a confidential and respectful manner. A truly exceptional lawyer--knowledgeable, skilled in litigation and a "nice guy"
"Baltimore's Finest! I highly recommend Mr. Voss. He will fight for you and you will not be disappointed." Mr. Voss's leadership and professionalism was above all others. He was able to take the information I gave him and locate proof for my case. Mr. Voss was always available when I needed him, and always contacted me right away when anything came up. I would recommend Mr.Voss to anyone in need of a family attorney, even military members. Ron Voss is an incredibly exceptional attorney. He worked all angles and always for my best interest. The process was long and painful but with Ron walking with me every step of the way, holding my hand (sometimes literally) and standing up for me when I couldn't do it myself it didn't hurt as much. Ron is not just a lawyer he is the man of steel. He is my lawyer for life. This man is an honest and trustworthy lawyer. He listens to what I have to say and then asks questions. He values me both as a person and a client. He is sincere and takes my concerns seriously. He is a professional and I highly recommend this man for any legal matter. I recommend Ron to everyone that needs a great lawyer, one who really cares about the welfare of his clients, one who is not in it for the money but for the justice of the law. Mr. Voss is a very reliable and dependable attorney. I really appreciate his work performance --he did an excellent job for me. Mr. Voss is my favorite attorney. I can now say, without a doubt, that hiring Ron to represent me was probably the best decision I have ever made. He really did possess the qualities I was looking for and even surpassed my expectations in ways I could not have anticipated. Ron Voss is one of the most hard-working, sincere people I have ever met. He not only helped me bring about the best situation for my child, but he calmed and reassured me all along the way. No detail of day-to-day negotiation was too small for him to listen and help. I highly recommend Ron Voss if you find you or your family needs legal assistance. He knows the law and knows how to apply it!